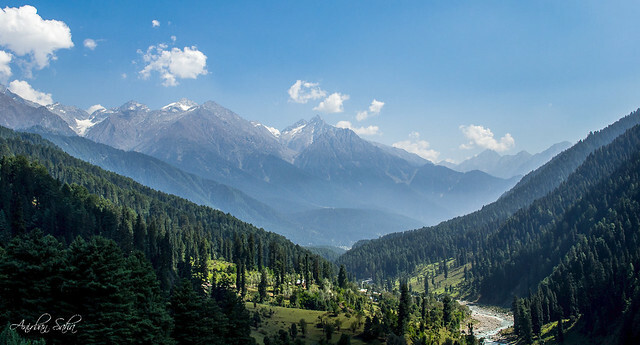 Agar firdaus bar roo-e zameen ast, Hameen Ast-o, Hameen Ast-o Hameen Ast !! If there is heaven on Earth, it is here, it is here, it is here !! Kashmir does not need any further introduction after these words. Located in the northern most point of India, it is indeed, as its rightly called, Paradise on Earth. 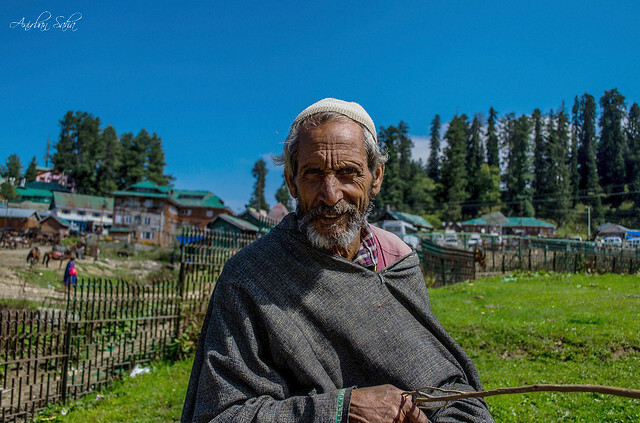 No matter where you go in Kashmir, you’re bound to find spectacular natural beauty, wonderful local people and the warmth of feeling welcome. 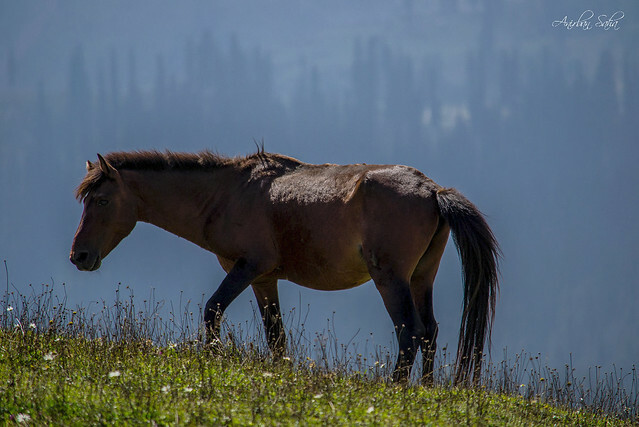 In Gulmarg, which is a wonderful ski location for the winter, there is much to do and see in other seasons too, such as horse riding and numerous herds of sheep. 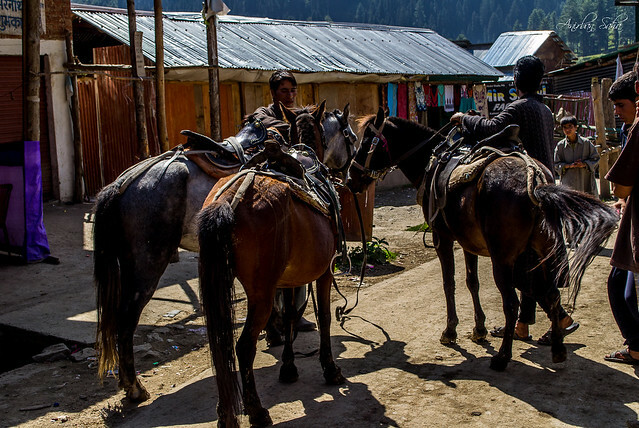 No matter if they are young or old, the horse and sheep herders are also expert riders and can take you on memorable horse rides. 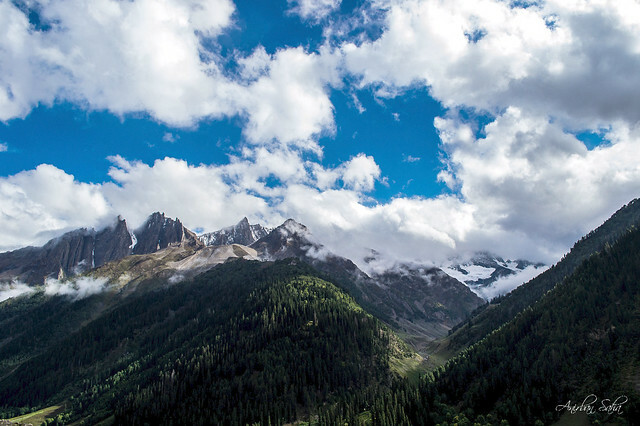 In Sonamarg, its possible to get very close to what is called the glacier point. 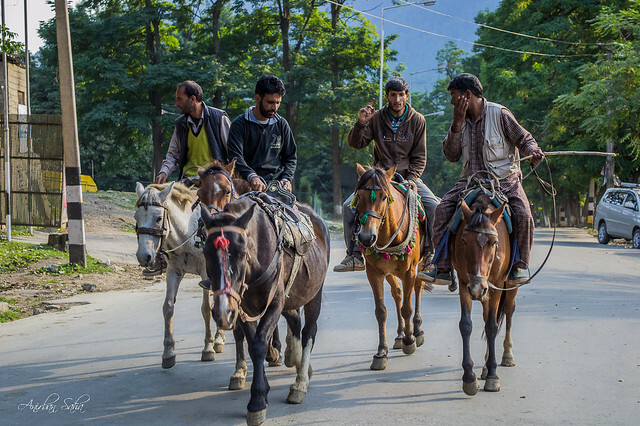 Although it is possible to hike up to the location, its a unique experience to take a horse ride up and down the steep slopes on the way. The friendly and expert horse keepers make sure that you’re safe and are able to have a good experience. 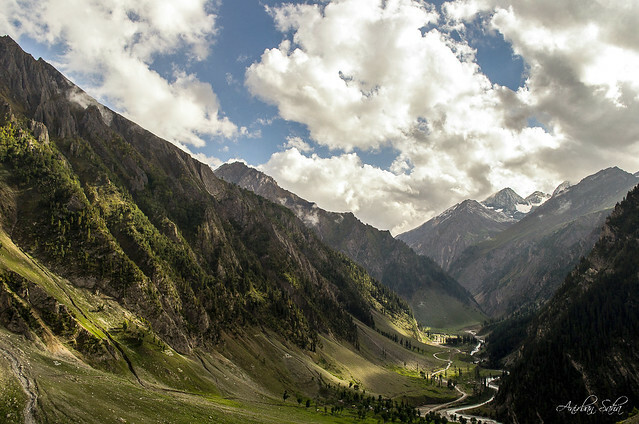 From Sonamarg, one can drive or ride up to the place where the road to Zoji La pass can be seen. On the way, you’re greeted by mind blowing views. From this point, as you try to stand still by fighting the immensely strong winds, you can see in the far distance, trucks carrying supplies to the Indian Army in Kargil. And of course, there are spectacular views of the valley below. 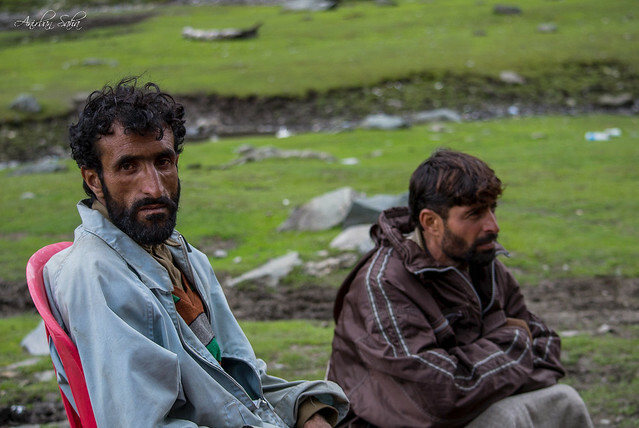 And some more on the way back to Sonamarg. 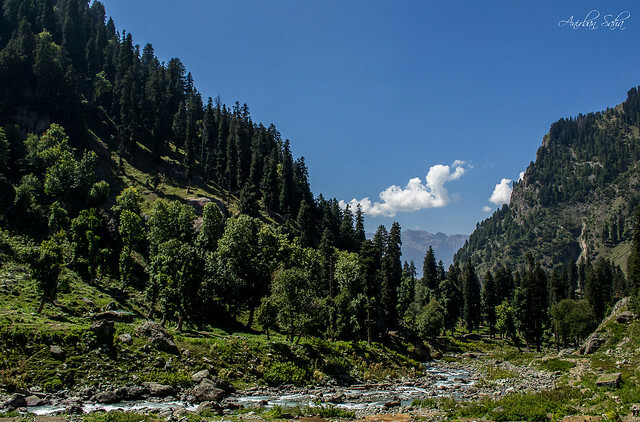 On the way to Pahalgam, you can be sure of getting swept away from your feet by the views on the way. 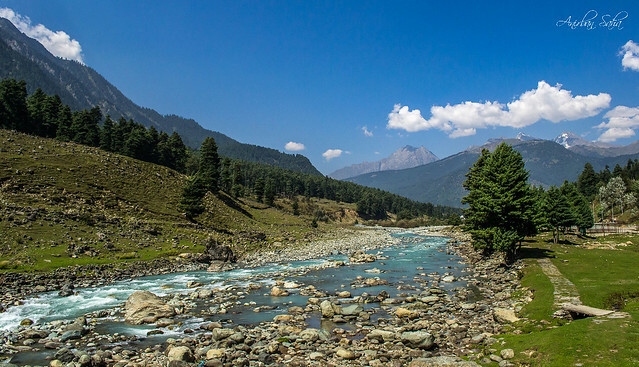 The Lidder river flows along the way and is frequented a lot by adventurers and thrill-seekers because of the river rafting opportunities it provides. 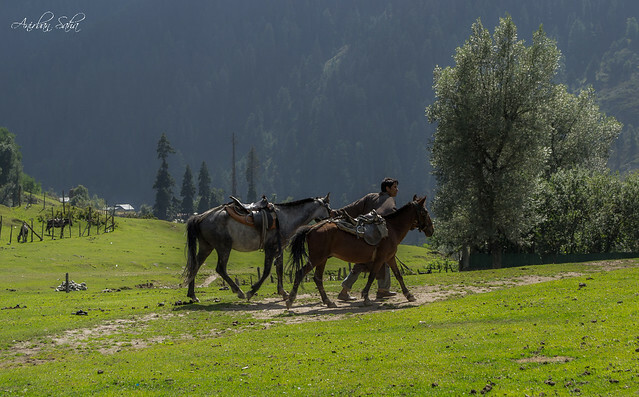 Like all other places, horse riding is a common tourist attraction in Pahalgam too. 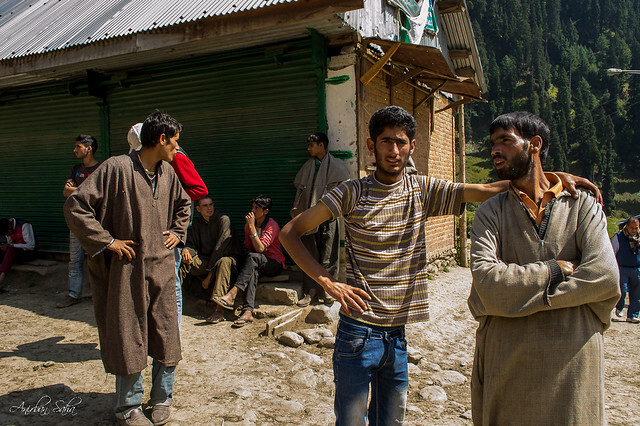 One of the best experiences of Kashmir is the lack of pushy people trying to get you to take their services. If you refuse after a couple of requests, they just say with a smile, “Koi baat nahi Sir, aap ki marzi” (No problem Sir, as you wish). 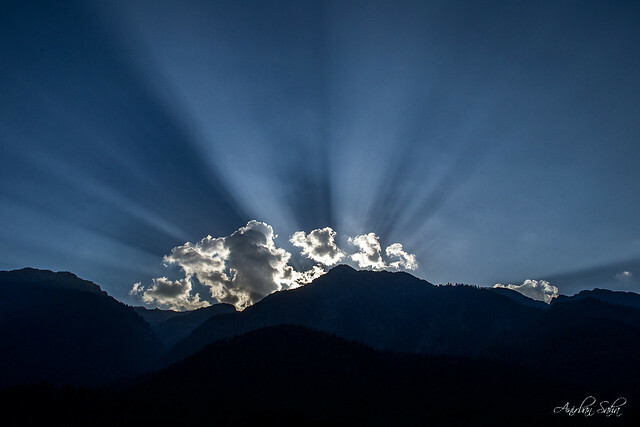 As I sat by the Lidder river at dusk, I was treated to this marvelous sight behind the mountains. Frankly, I couldn’t ask for more. 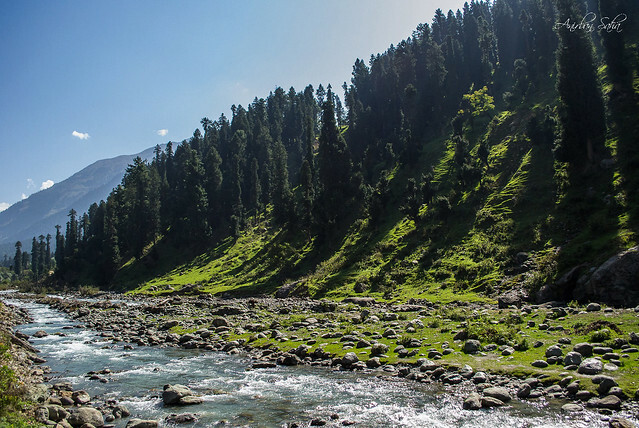 Mountains, rivers and greenery can be found at every other bend of the road in Pahalgam. 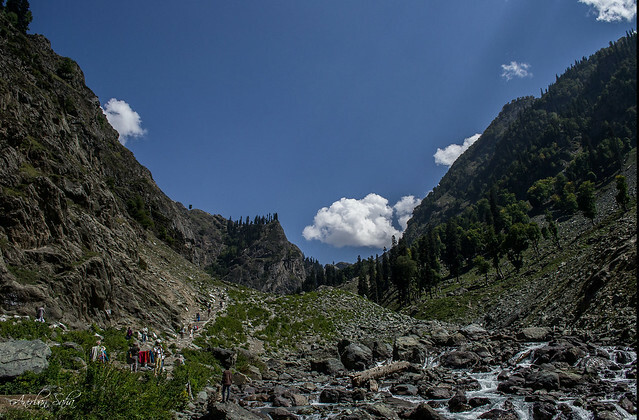 One can also visit Chandanwari, which is the starting point of the Amarnath Yatra which is a 32 kms journey taken to the Amarnath caves by pilgrims and the spiritual. 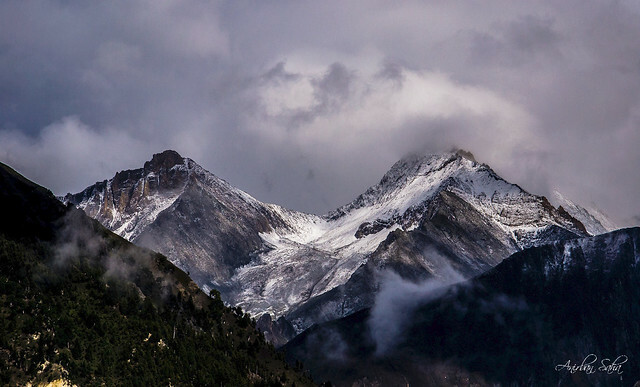 For others, this place also has a glacier and some snowy experience. 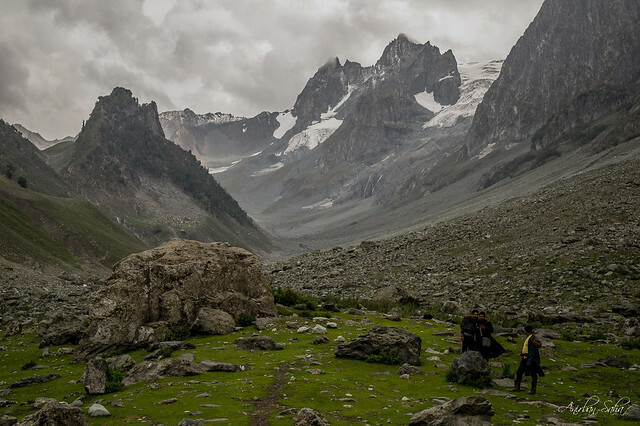 The Aru valley, which can also be visited from Pahalgam, is the starting point for a trek to Kolhoi glacier. 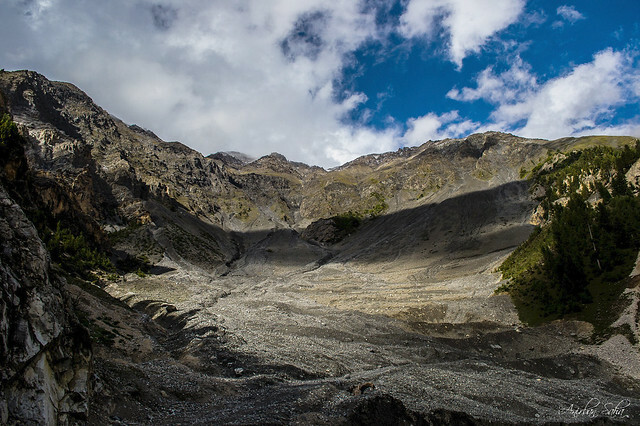 However, most people are content with the lush meadows, lakes and mountains. And of course, some horse riding. Although, the number of tourists were much lower than expected according to the local folks, men seemed quite busy most of the time. 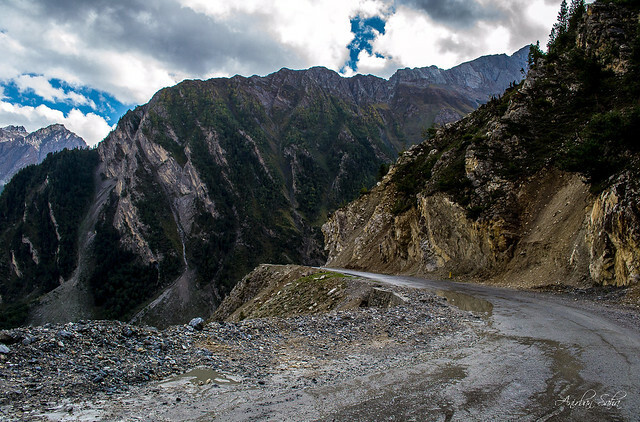 On the way to Aru valley and back, once again you’re treated to some beautiful panoramic views. 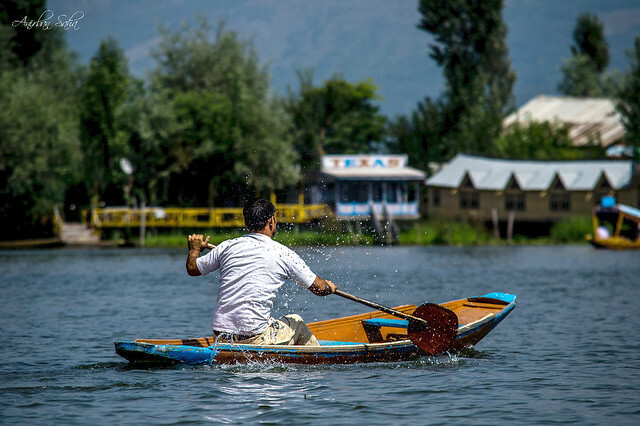 No trip to Kashmir is complete without a boat ride in the Dal lake. 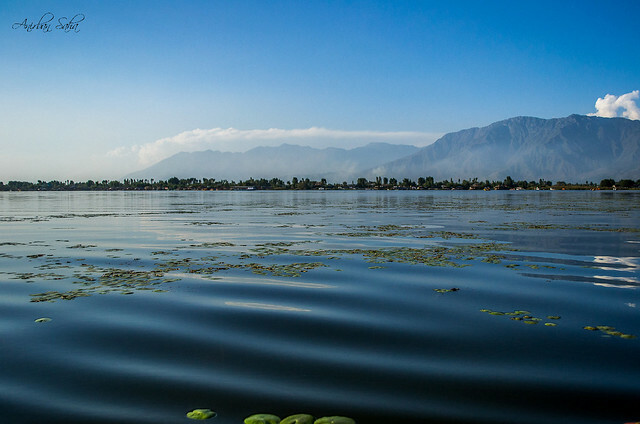 Located in the city of Srinagar, which is the base for most people visiting Kashmir, the lake covers a massive area. 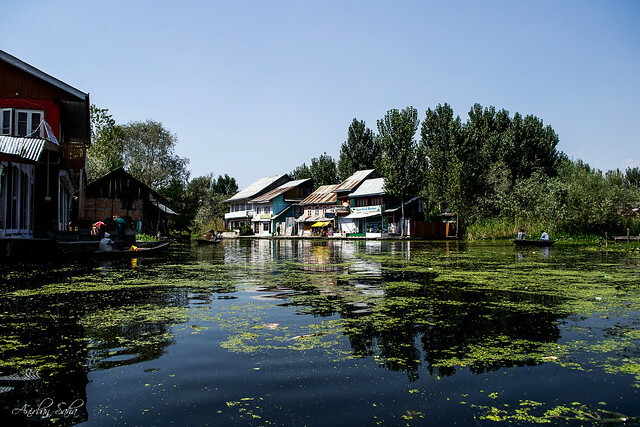 The Dal lake has lot of houseboats, which are basically floating hotels. They are some of the most popular attractions for tourists. 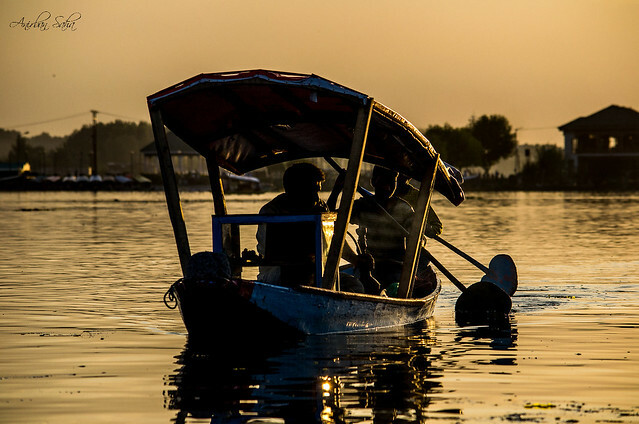 Apart from tourists, the lake is used by lot of local people to take care of daily work which, most of the time is again related to the tourism industry. 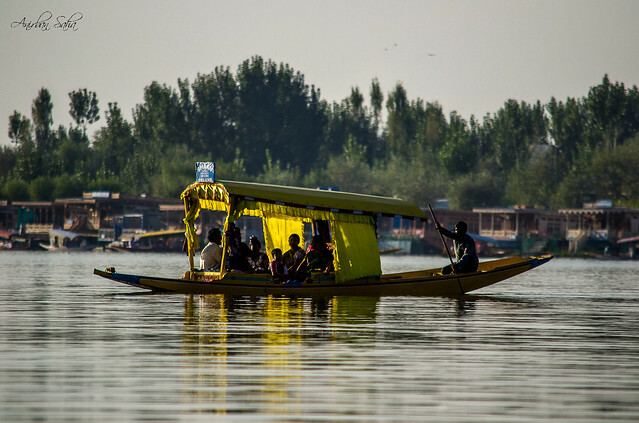 The boats used to provide rides to tourists are called Shikaras and are really comfortable where one can just lay back and enjoy the lake, as well as the surrounding mountains. There are also provisions to shop while on the lake. 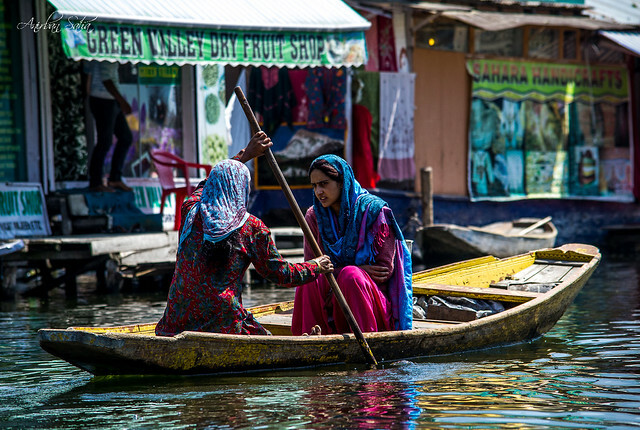 There are floating markets with variety of services. 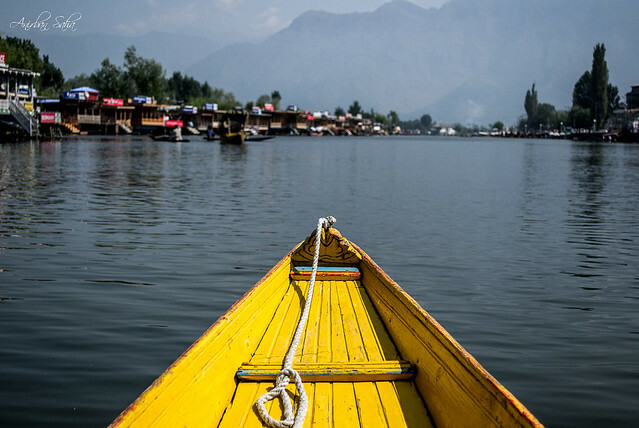 And sometimes, one can just watch the ripples created by the Shikara with the backdrop of the mountains. The boatmen are always ready to have a chat and make sure one has a memorable experience. At the end of the ride, the boatman asks “Mazaa aaya na Sir?” (You enjoyed it Sir, didn’t you?). And he seemed so delighted when he was told that indeed we had a great time. These emotions are so simple, yet mean so much for the people. 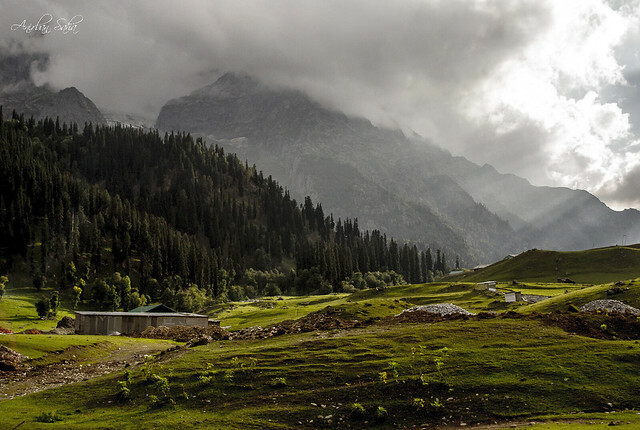 Although not the only paradise on Earth, Kashmir definitely is one of them. 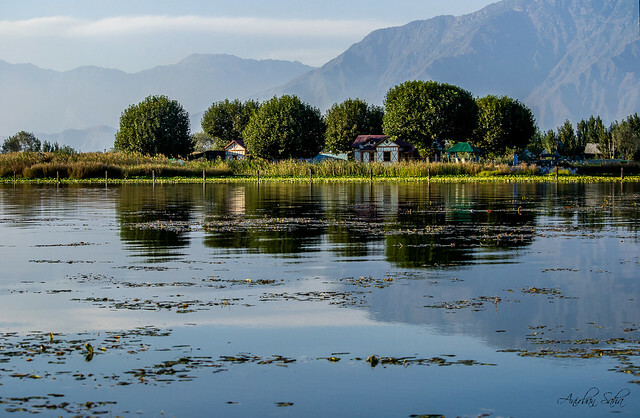 Kashmir looks spectacular. Great job on the photos. Your pics are absolutely stunning!